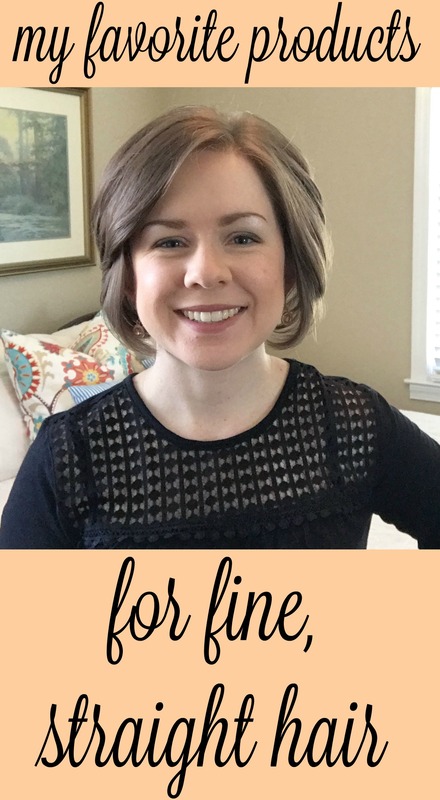 It’s been three years since I shared the hair products I use on a daily basis – and they’ve almost completely changed since then! I stick with hair products that I can pick up at Target. I don’t like paying a lot for hair products, and it’s always fun to have a reason to shop at Target, right? I currently have more than just six products in my bathroom, but if I had to narrow it down to my favorites – here they are! Don’t be afraid to wash your hair daily. Even though it’s pretty dry, with as much product as I use in my short hair I can’t get away with second day hair. I’ve tried it and it just doesn’t work! Know that you don’t have to spend a lot of money on salon quality products to have beautiful, healthy hair. Pay attention to the condition of your hair – if it’s fine, dry, frizzy, flat, oily or dull – and choose products to treat those problems. Make sure you’re using the right products for the hair you have today! Your hair could be a totally different texture than it was five years ago. Here’s a tutorial I filmed earlier this year, showing how I style my hair. Do you have fine or straight hair? Have you tried any of my favorites? My mom has the fine, thin hair, while I’m thick and wavy (have to straighten my hair daily!). That’s so awesome you found a routine that works! My favorite L’Oreal line was discontinued almost 10 years ago, and my stash is about depleted. I’ve been trying to find a replacement, but most of the products just aren’t the same these days and aren’t very moisturizing. It seems that the hair care companies have made it so we have to buy shampoo, conditioner and some kind of treatment to get our hair somewhat manageable. I used to be able to shampoo and condition and be good to go, but not anymore. Another huge problem is the strong smelling products. Whitney, you’re so lucky you can’t smell, as there seems to be a lot of strong, perfume scents. Being migraine prone, it’s a big “no-no” to scent my head. I’ve not tried the OGX line yet, so will have to give it a whirl. I’ve seen it in many places. Sorry for the “rant” on haircare, but it’s been a big issue for me. I just want something that works and won’t leave me smelling like a stinky perfume bottle. 🙂 Suggestions for haircare are always much appreciated! Hair changes definitely make us want to tear our hair out! 😉 As long as we have hair, I guess we’re good. Haha! I love the Pantene conditioner! Plan to look for your heat protectant for sure. I keep trying different ones but don’t notice a huge improvement. I really try to only allow myself one heat tool a day to avoid dry frizzy hair. Love that you use regular Target/Walmart products! I can’t bring myself to pay that much for the salon products. I’ve always lived on a cash budget, and have never been able to afford salon prices! It feels good to have a list of favorite hair products! Glad you have gotten into a good routine. It’s always nice to find affordable hair options since there are so many pricey ones out there. Kuddos to you for daily hair washing. Back in jr high and high school I washed my hair daily. It just couldn’t last any longer than that without looking gross. Now I shoot for twice a week hair washing after years of training my thick, curly, prone to frizz hair to cooperate. Everyone’s hair responds to washing so differently, it’s amazing! I imagine it also helps that it takes me less than 5 minutes to blow dry my hair. With long, thick hair I bet it takes a lot longer than that! Just bought the L’Oréal product to try! Your hair always looks so pretty Whitney!! You do a great job!